با مشاهده این فیلم هم می توانید جواب بسیاری از سوالات خود را به عنوان هم مهندس هم جوشکار در عمل و نه صرفاً در تئوری بگیرید، بنابراین این فیلم آموزشی را به دفعات نگاه بفرمایید. 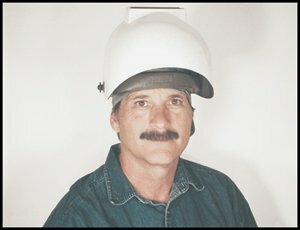 Steve was introduced to welding in a mechanics apprenticeship program in 1972. He worked as a mechanic in a Yamaha shop for a couple of years. He then spent the evenings cutting up and building expansion chambers for 2 stroke racing bikes. As it turned out, Steve liked welding better than turning wrenches, so he got a job welding in construction, then welded for a small city. In 1979 he moved to Odessa, TX. He passed a 2” pipe test and went to work in an ASME pressure vessel shop as a lead welder, fabricator. This is really where he learned the trade. Everything was inspected every step of the way. Lay out and metal preparation were inspected, fit up (tack up) was inspected, we would weld flush (inch and a half wall thickness with a 4 –1 bevel for nozzles) and the shell would be sent off for x-ray or ultrasound. We’d get the shell back to cap the welds and that was inspected. Everything had to be just right and you got used to someone looking over your shoulder all the time. Also, this was before gas shielded flux core wires were certified for ASME, so big welds were made with ¼” 7018 or Jet Rod (7024). It was hot and dirty, but quite an experience. He burned a lot of rods. In 1981 he started welding ASME pipe for construction companies in refineries and petro chemical plants. Around 1984 he started welding tig stainless pipe, and pretty much welded stainless after that. In 1986 Steve and his family moved up to North Idaho. He continued to run out a couple of times a year for short jobs in California and the north coast of Washington, while developing customers for his fabrication shop. It took about six or seven years (this is a tough place to make a living), but eventually he had a couple of plumbing companies, a contractor that did commercial construction, and a contractor that did high-end houses. The work ranged from gas piping, fabricating structural columns and beams, some “artistic” projects, and equipment repairs. Everything was custom and pretty diverse requiring oxy-acetylene welding, stick, tig, mig, flux core and even some brazing. Over the years, it seems I’ve always had one or two guys that he was helping learn to weld, from high school kids in my shop to old retired guys. He also gave a couple of welding clinics at a local welding supply store. The biggest challenge in welding instruction is getting beginners to “see” the weld puddle. Around 1994 he started thinking it would be cool if he could video the weld puddle as good as he saw it through the hood, so he borrowed a camera (one of those big VHS cameras of the time) and took about three months to figure out how to do it. After that, it was just trying to condense years of experience into something that was informative and not too boring. He made a two hour video covering stick, mig and torch cutting. Instructors liked it, but wanted videos that would fit into a class period, so he began making the six videos we have today.